How to add contacts using the website interface. 2.) Click the "+" icon to add a new contact individually. 3.) 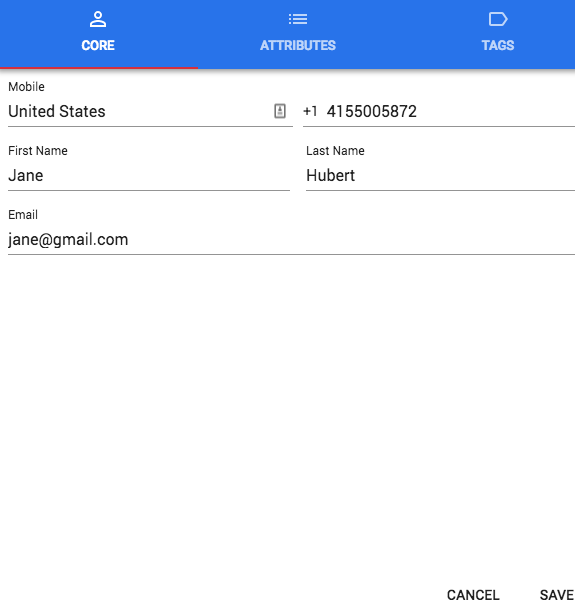 Select the "Core" sheet to enter the contacts core attributes. 4.) 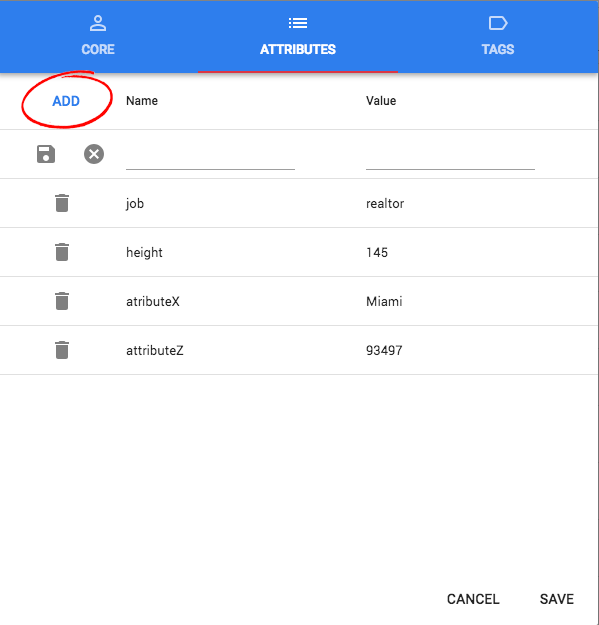 Select the "Attributes" sheet to add contact Attributes. 5.) 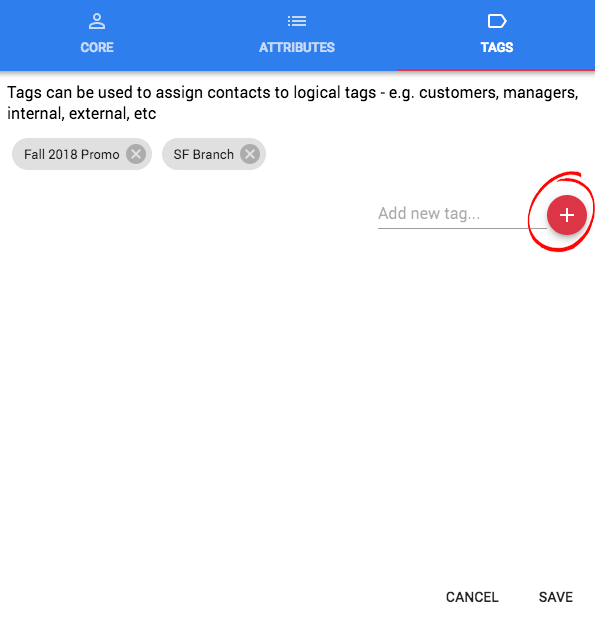 Select the "Tags" sheet to add contact Tags.